When I first spotted George's Secret Key to the Universe, I could not believe my eyes. Stephen Hawking for kids? Wow! Needless to say I picked a copy and my (then) 7-year old loved it. She would read it over and over and it triggered many discussions about space, universe and the very nature of our lives - does our comfort matter more than the impact it has in the universe? Is our selfishness greater than our consideration for the planet? Is the fact that humans are so intelligent creating problems? Questions that I never thought I'd be discussing so early on in my parenting career! Sathish has already taken you through that book earlier in the week. I am going to tell you about the second and the third of this trilogy produced by the father-daughter duo of the great scientist and Lucy Hawking. I will make a confession before I start off. My daughter had to do a book review for her Physics homework - and these three are what she chose. I have shamelessly, with her permission, copied off from her work. Hey, come on, it's payback time! In exchange for all those years of reading the same books a zillion times, this is the least she can do! 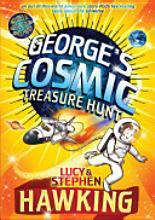 Right at the beginning of the second book George's Cosmic Treasure Hunt, we get headlong into action. George learns that his friend Annie and her dad Eric will move away to America as Eric has got a new job with the Global Space Agency there, to search for signs of life outside Earth. George is heart-broken. As a parting gift Eric gives him a book called The User's Guide to the Universe, saying that it contains all the information he might need if he were to ever go on a cosmic voyage. George dips into the book as we march on into the book, and this is how the authors have cleverly interspersed the story with two-page spreads with space facts. We learn about the way light travels, robotic space travel, binary code, aliens, how sound travels through space and about Titan the largest of Saturn's moons. There are discussions on why humans want to go to space, what exactly a voyage into space means and much more. All of these essays have been written in simple language by eminent cosmologists. What about George's story you ask? Well, to cut a long one short, Annie summons George to the US soon after she reaches there as she believes she has got a message from aliens which says that unless they took action Earth would blow up. The two of them enlist the help of her genius cousin Emmet to open a 'portal' using the computer Cosmos, and they all go on a voyage following clues like in a treasure hunt and finally land at the very edge of the known universe. Here, waiting on an exoplanet, is the evil Dr.Reeper, a disgruntled former colleague of Eric. How does it all end? Well read the book to find out. I promise you you won't be disappointed! It is every bit as exciting as a thriller and yet manages to refresh all the physics you may (or may not) have learnt! 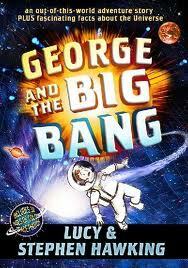 Book 3 is called George and the Big Bang and it takes us to CERN in Europe where the biggest science experiments of all times is on. In a nutshell, the experiment seeks to find out more about the fundamental particles of the Universe. When we lived in the UK, one time we went to the Science Festival in Cambridge. There we were introduced to the Large Hadron Collider in a very child-friendly manner and it fascinated the (then) 8-year olds with us - my older child and her friend. We also had two friends in London who had previously worked at CERN, and they would tell us many interesting things about the LHC. We were therefore thrilled when we spotted this book online and could not wait for the wonderful Flipkart folks to deliver it to us. By the way it was a CERN scientist who invented the World Wide Web in the 90's to facilitate quick exchanges of thoughts between the community of scientists, and it is that www that you are reading this on at this very minute! Back to our story then - Annie and her family have returned to England and her father Eric now leads the LHC experiment (this guy seems to get all the funnest jobs!). An organisation called TOERAG does not want the experiment to succeed and are spreading rumours about how 'a bubble of destruction would leak from the LHC and ruin the Universe'. Then suddenly Eric is in danger. George joins forces with the foe-turned-friend Dr.Reeper and figures out that the actual reason is that the TOERAG is made up of powerful people who do not want scientists to succeed for their own selfish reasons. How George and Annie manage to crack this one to rescue both Eric and the entire experiment from blowing up is what forms the rest of the story. In the process we learn more about the LHC and the quantum world than a pile of books on the subject could have ever taught us. There is even a cat called Schroedy in it. Clearly this is a book with a sense of humour! The entire series has awesome illustrations by Garry Parsons and is full of actual photographs with explanations. And with this I (okay, we - also a parent-daughter duo) conclude this long telling of an absolutely gripping set of stories. It is all rocket science, and it did take a rocket scientist (and his daughter) to tell us all about it in a way that it makes it seem like a child's play! I bought this for my son but guess who has first dibs at reading it? hyuk hyuk! Ok, first, I would know this is your review of a book even if I didn't see your name down in the tags! If you have produced your FB's review here, I would say hats off to her and also that she has imbibed your style! :) I have this huge grin on my face as I'm reading it! Ok, ok, don't hit me on the head for saying that! Second- thanks for introducing these books to us in the first place. A has loved the first two, and we are all set to read the third. Soon we will have the two (you know who I mean) jabbering about this set after HP! And it is wonderful how seamlessly the three books have been presented by Satish and you. Lovely! Lovely review. We have read all three of the George's books and must say, all are really interesting. I was looking for something for my soon-to-be-7 year old son to read. He has been smitten by the Geronimo Stilton series for the past 6 months and has read most of the books cover to cover. Before he started the series, he preferred having me read to him and never tried reading entire books on his own. The series was his own finding from school friends so I didn't question his choice of books as long as he was reading. 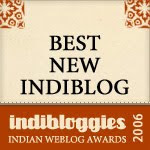 Three days back, I came here to check out on a few book reviews. This Stephen Hawking book looked like an interesting way to introduce space and the universe to him in a different light. I was still a little skeptical after ordering the book on Flipkart, I must admit. The book is now here. Not only my son, even I am loving every page. Yes, I haven't asked him to read on his own entirely coz some words and terms need explanation for his 6 something mind. I am hoping that he will read the series on his own a couple of years later. Thank you for introducing this series to us!